time is your love. | wull hay. March 17, 2010 / rach. Gosh, I love watching those kids sing. Such a beautiful thing. And AND such an awkward thing. Remember that age? How awkward you were. Looking back at pictures and not knowing what to think. Laughing, trying not to look directly at the old you. Gosh. 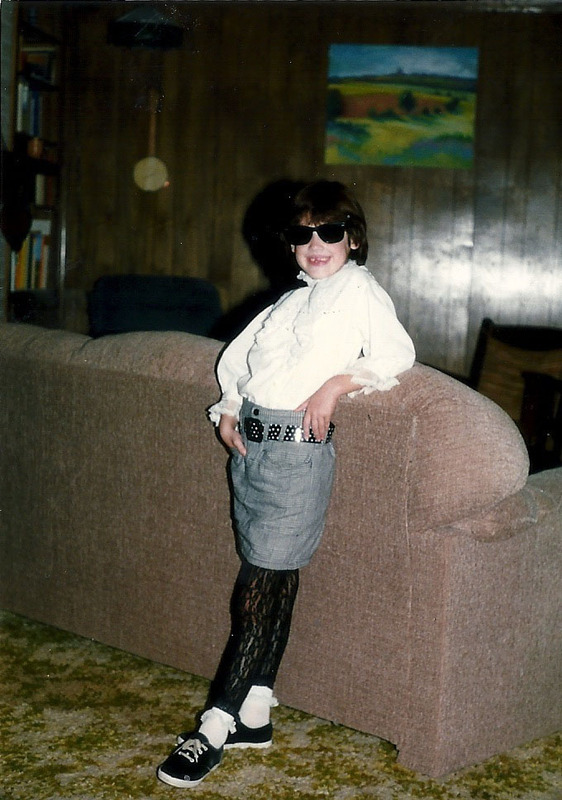 A little bit after this age, I became embarrassed of who I was. So gangly, so awkward, no real friends yet, typical weirdo kid. I was just me and so confused as why I was the way I was, thinking I should be something different, someone different. Now, everyday, I strive to me more like that girl. She wanted to know who she would be. I want to remember who I was. Be her more. She wanted to be less awkward. I know there’s no changing that; time to embrace it, love it. No more wondering who I’ll be, what I’ll be. No more being jealous of everyone I see, because they’re not me. ← how connected we are. The kid in the black shirt with the emo bangs is my favorite. Jammin’ out. i don’t we looked all that different when i was that age.